Here are some tattoo magazines that I have been given ample space in, I want to take this opportunity to thank them! 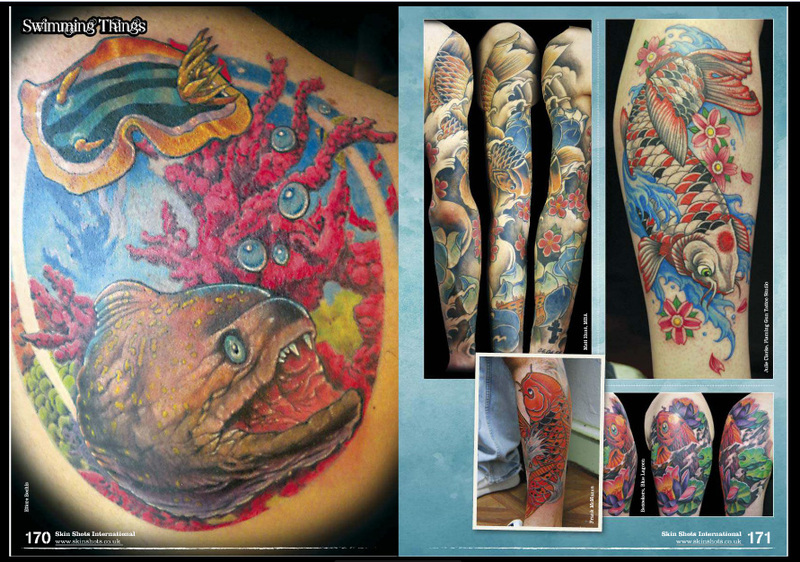 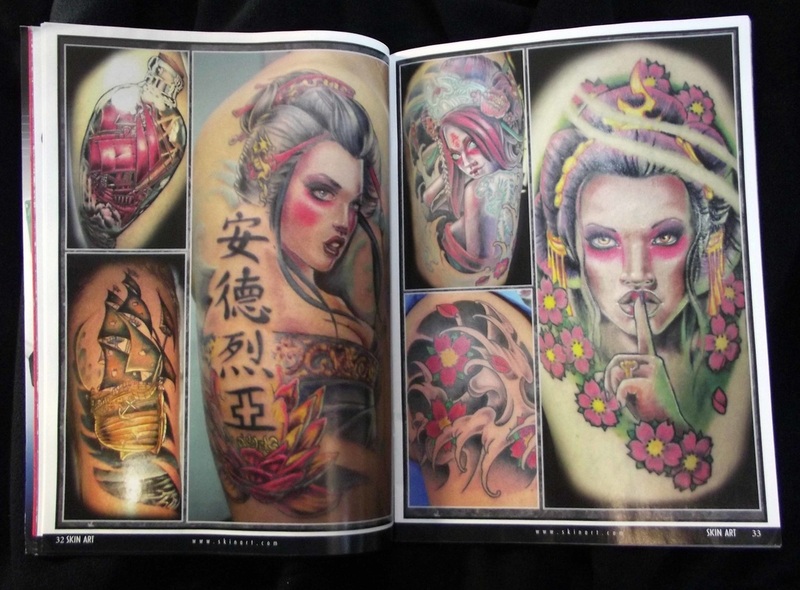 ​​The pages of tattoo magazines are dense with tattoos of many kinds, you will find from the classic American old school traditional to the most international innovations of this style; from classic Japanese irezumi to the more westernized. The tattoo magazines are some of the most complete tattoo gallerys, a magnificent and spectacular show of images and photos of classic and tribal tattoos. 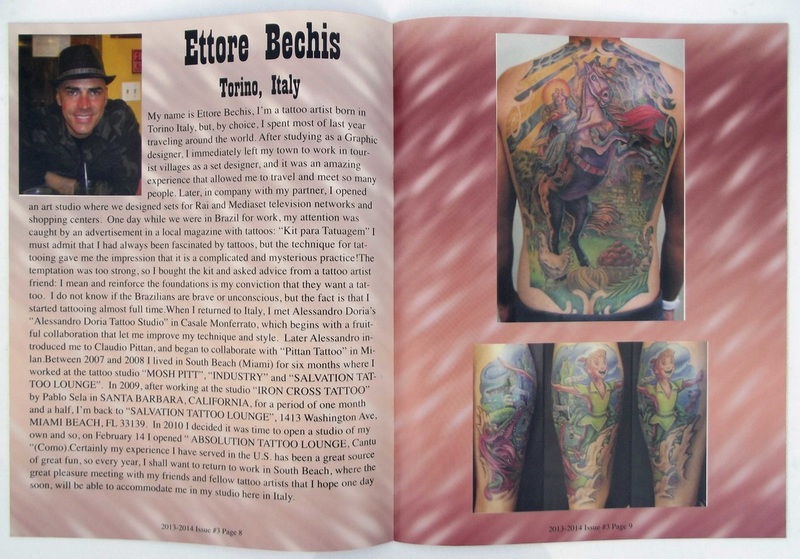 Artists and masterpieces in the international tattoo scene, reports of those artists who have devoted their life to the artistic expression of tattoos. 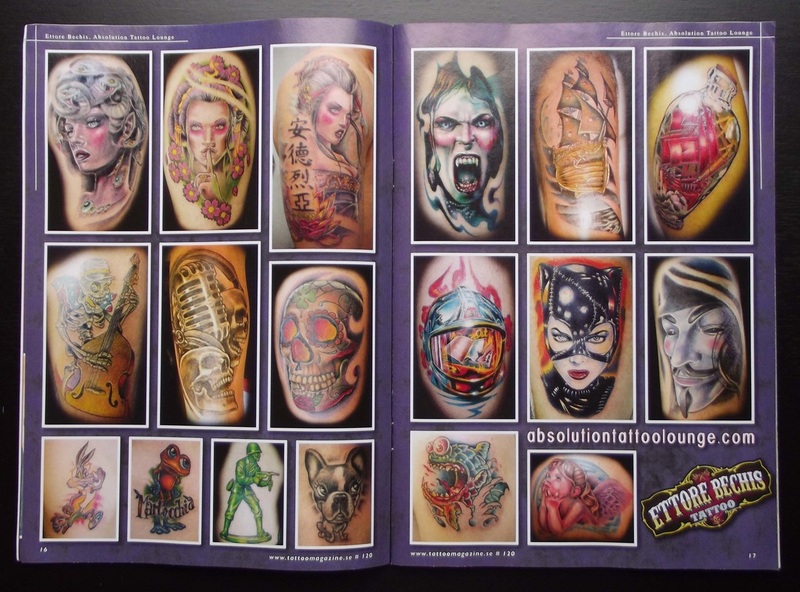 A tattoo magazine dedicated to the most important tattoo styles, provides a comprehensive overview of each style in all its interpretations, represented by its masters. 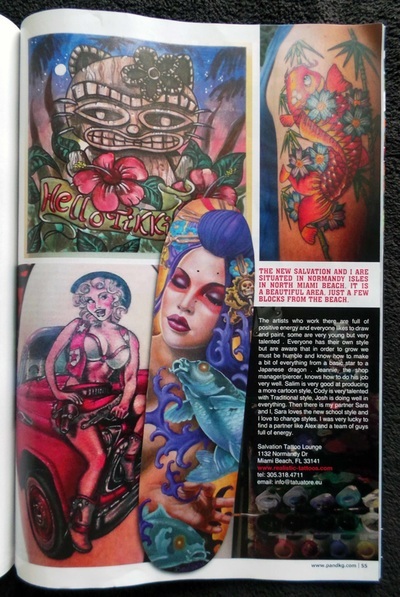 Tattoo Magazine and American magazine publisher's "Paisano Publications" is a showcase for the international community of tattoo enthusiasts. Each monthly output presents a comprehensive look at the styles of tattoos, artists, collectors, events and news. 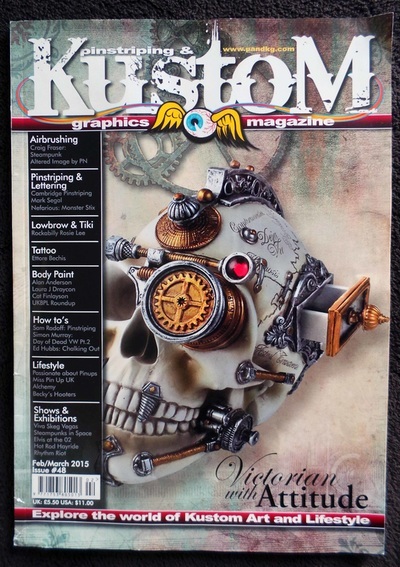 It is also the magazine that is more' popular in the United States, much celebrated throughout the world each month offers a broad overview of styles, from traditional to new school, and from tribal to realistic. 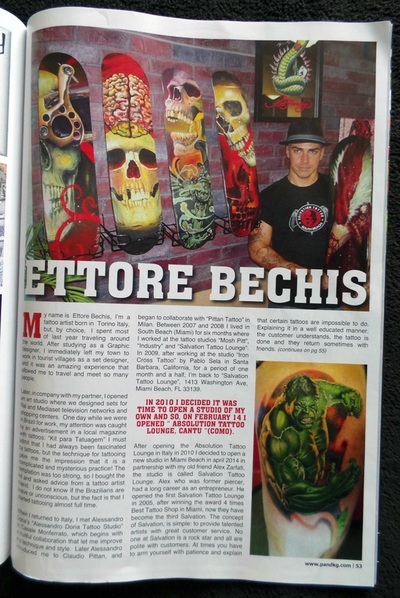 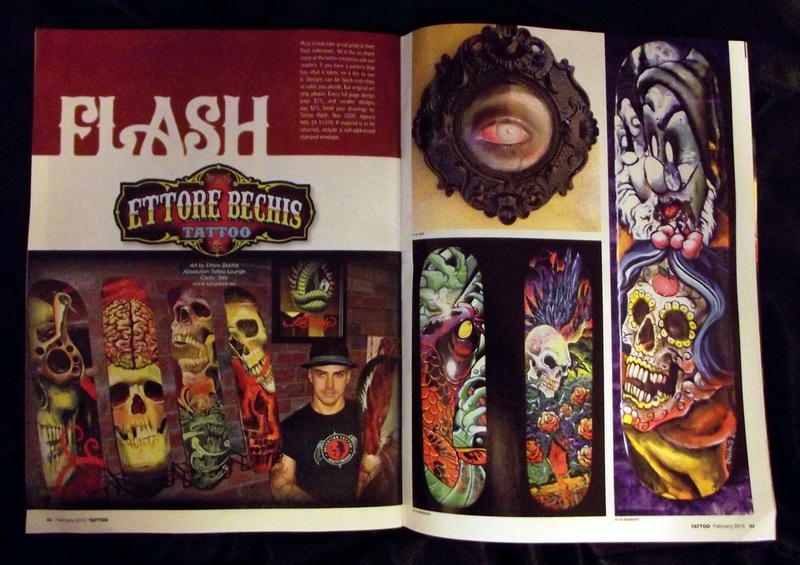 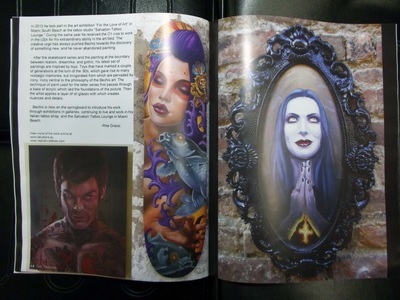 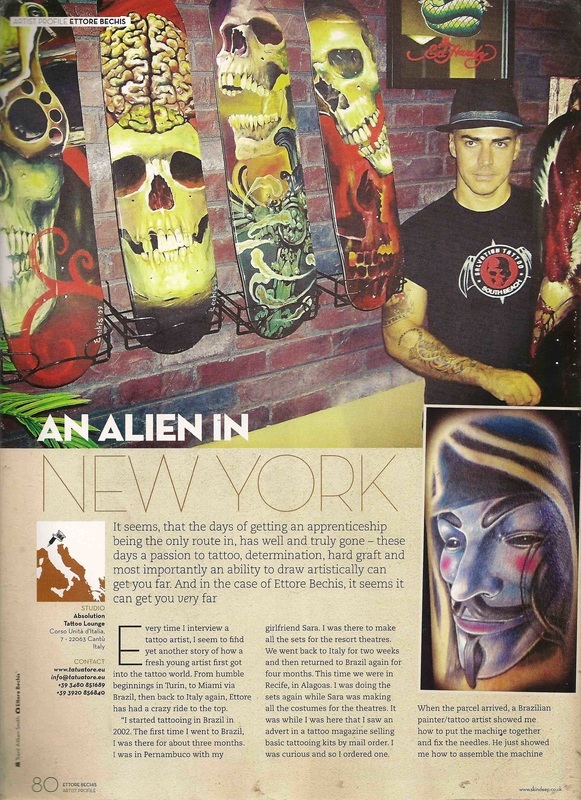 "THE BEST ART FROM ALL OVER THE WORLD"Custom Tattooz Magazine is a balcony that overlooks the global tattoo community. Peek within our pages to glimpse at what this wonderful industry as to offer. 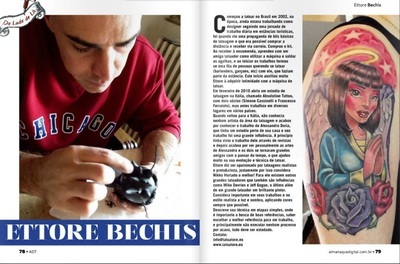 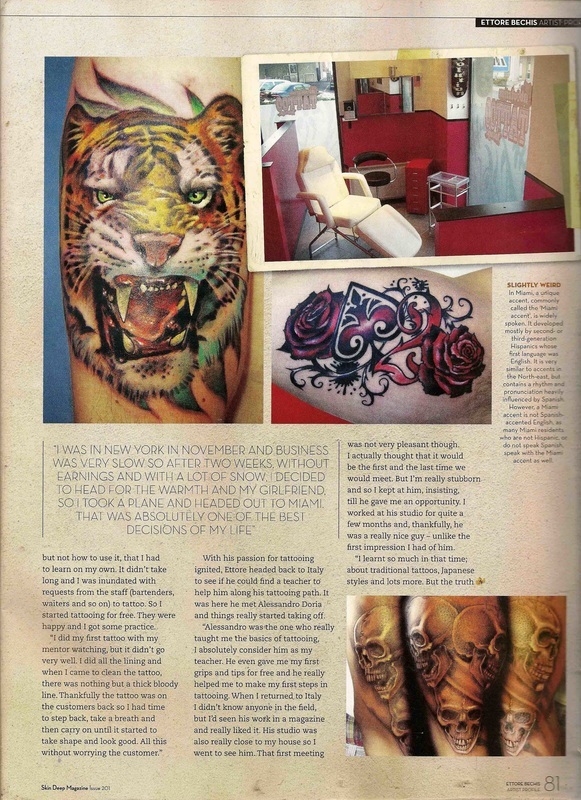 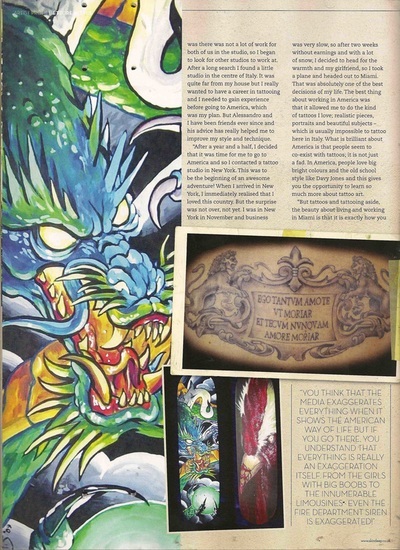 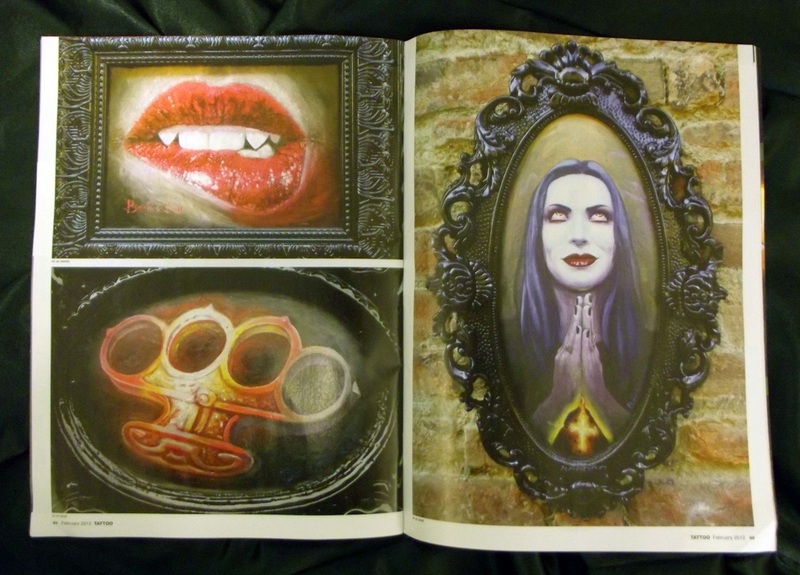 CTM's goal is to give back to the tattooing industry by inspiring other artists through the pages of each edition." NTA Magazine. 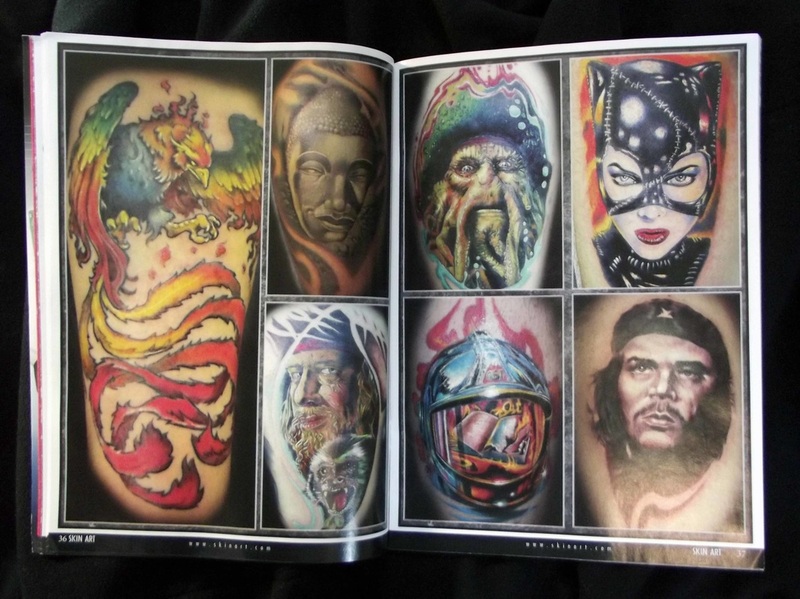 The National Tattoo Association was Founded in 1976, with it's main focus being on a heightened social awareness of tattooing as a contemporary art form. 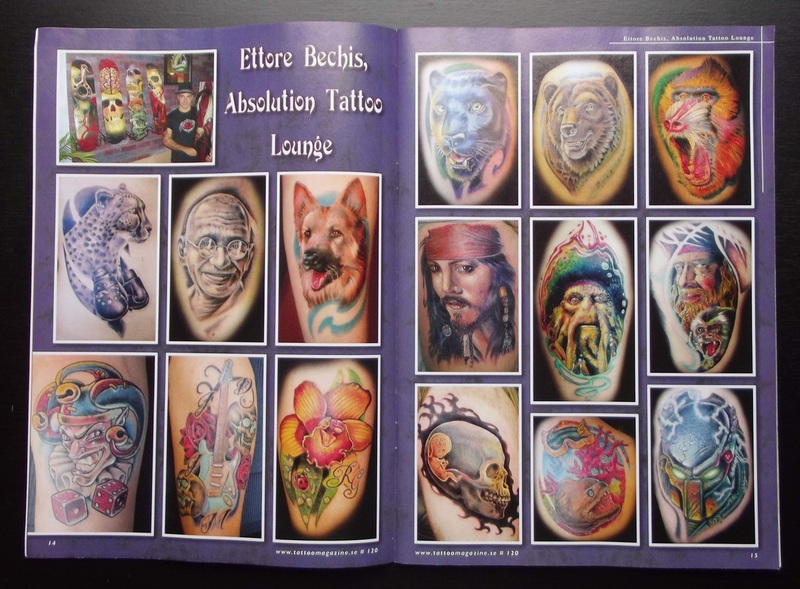 The association has since become an organization dedicated to the advance in quality, safety standards, and professionalism in the tattooing community. 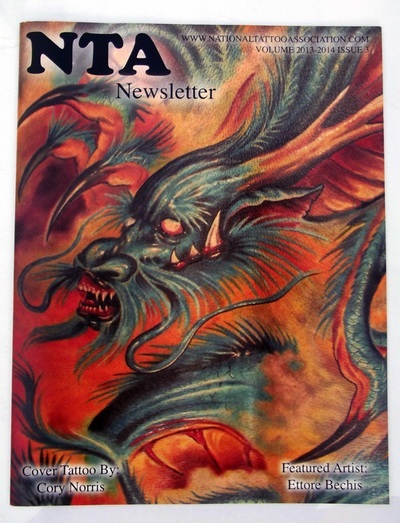 The associations' membership boasts some of the most talented artists worldwide. 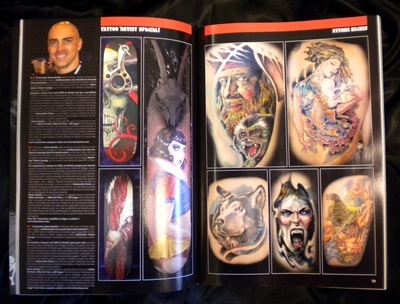 PAIN MAGAZINE QUICKLY ESTABLISHED ITSELF AS A MUST READ FOR PROFESSIONAL TATTOO ARTISTS, PIERCERS AND OTHER BODY MODIFICATION PROFESSIONALS. 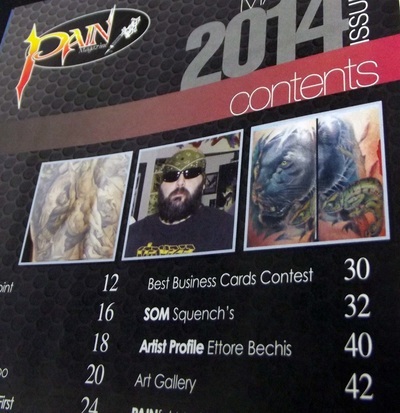 PAIN MAGAZINE IS THE ONLY TRUE TRADE PUBLICATION EXCLUSIVELY SERVING THIS INDUSTRY. 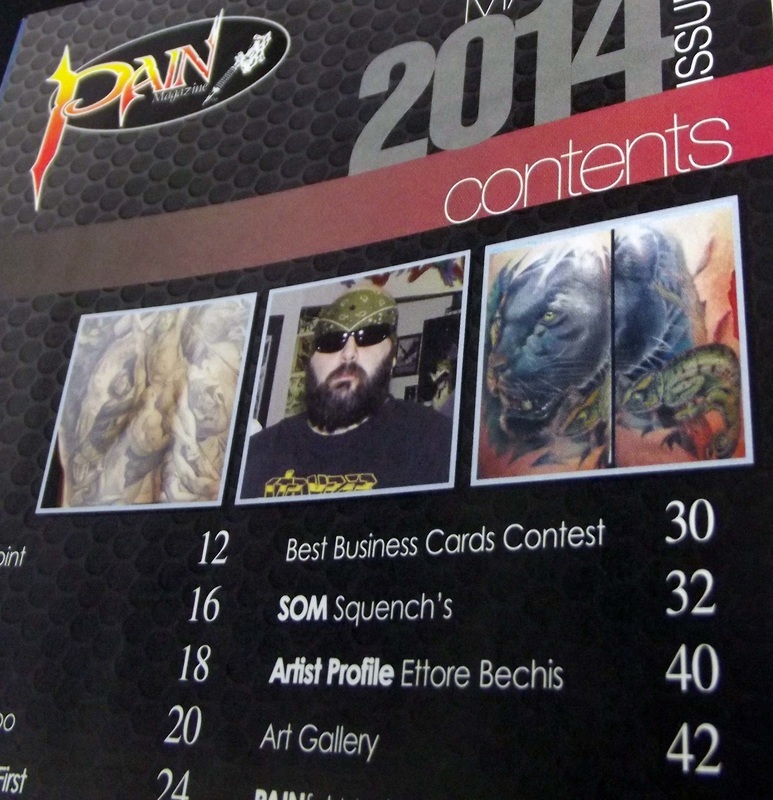 PAIN MAINTAINS STEADY GROWTH, KEEPING PACE WITH THE GROWING POPULARITY OF THE TATTOO AND PIERCING INDUSTRY. 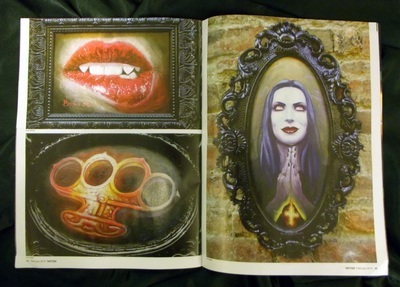 PAIN HAS A READERSHIP OF OVER 36,000 AND A CIRCULATION OF APPROXIMATELY 12,000. THE MAGAZINE IS MAILED TO 9,000 TATTOO AND BODY PIERCING STUDIOS ACROSS THE UNITED STATES, WITH 1,000 COPIES DELIVERED THROUGHOUT CANADA. THE REMAINING 2,000 COPIES ARE SENT TO JEWELRY STORES, GIFT SHOPS, CLOTHING STORES, AND A VARIETY OF OTHER COUNTER-CULTURE VENUES. 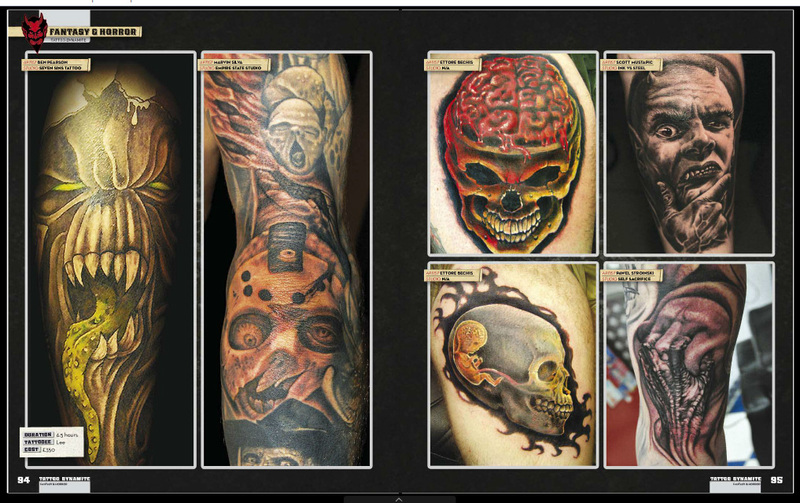 PAIN ADVERTISERS TELL US THEIR DISPLAY ADS CONSISTENTLY BRING IN MORE ORDERS THAN ADVERTISEMENTS PLACED IN OTHER TATTOO AND PIERCING PUBLICATIONS. 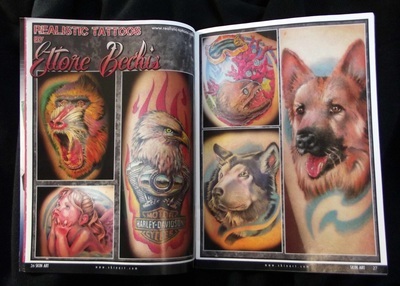 PAIN MAGAZINES ARTISTS, INFORMATIVE AND PROFESSIONAL FORMAT OFFERS THE BEST BUY PER ADVERTISING DOLLAR. 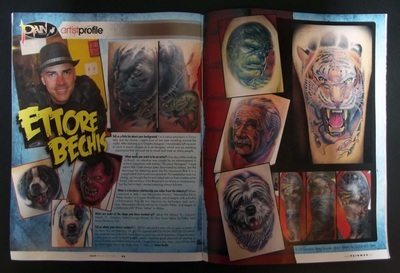 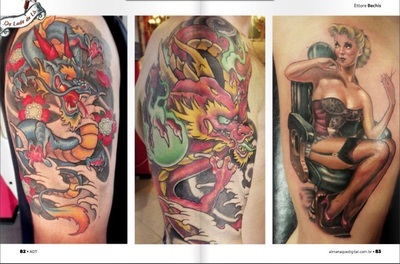 Scandinavian Tattoo Magazine . 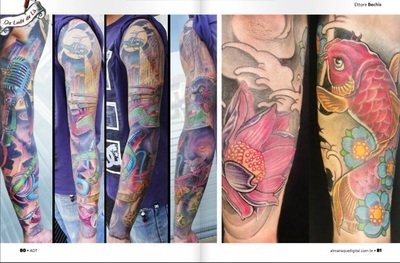 SWEDEN'S MOST COLORFUL MAGAZINE! 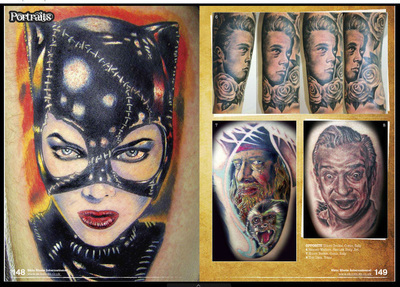 Skin Deep Tattoo Magazine is the best magazine in the United Kingdom. Published in each issue is profiles, interviews, and features of the most important tattoo artists and emerging ones in the world. 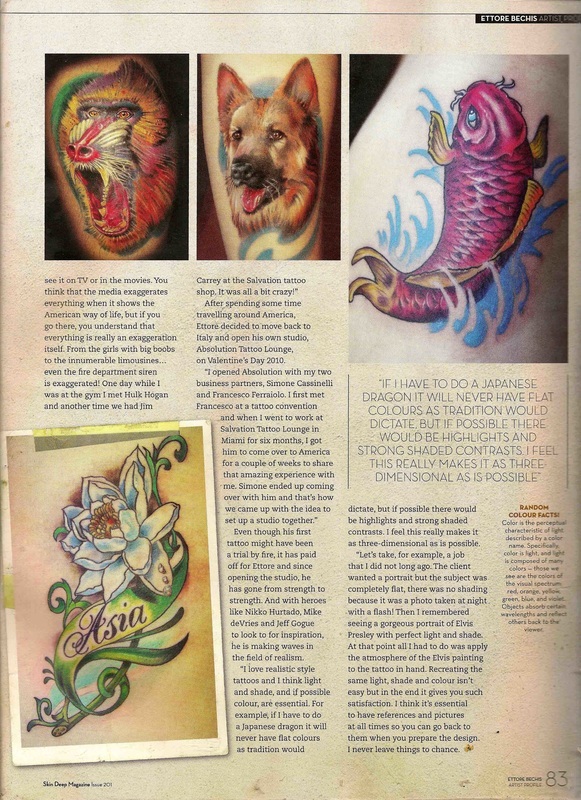 Focusing on the lifestyle of tattooing and all that surrounds it, gives ample space to the international scene of the conventions, news, and reviews. 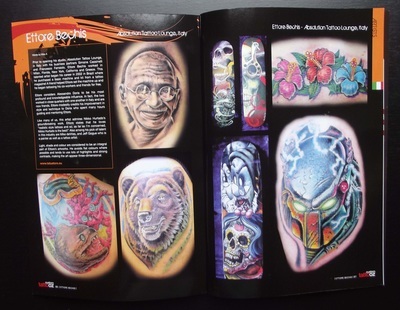 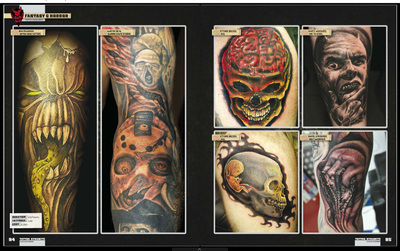 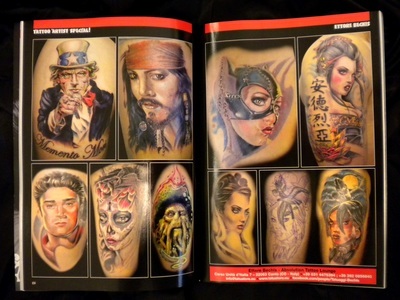 Skin Art is the favorite magazine of tattoo fans everywhere, featuring hundreds of new tattoos in every issue. Skin Art spotlights the fine and unique body art created by the world's top inkslingers showing what's new & splendid in the world of body art. 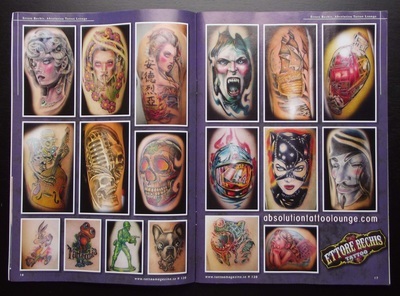 Tat2 Magazine is a tattoo magazine dedicated to featuring professional tattoo artists, tattoo shops and studios, alternative models and inked girls, alternative fashion and jewelry, and bands and musicians wearing body art. 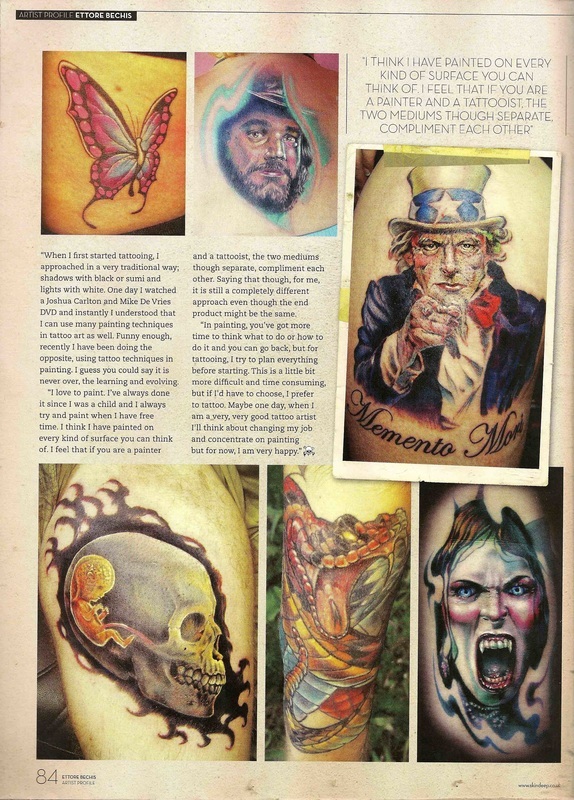 We also cover occasional music festivals and tattoo conventions with exlusive interviews. 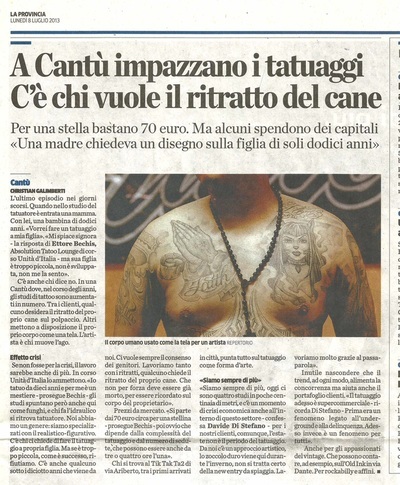 Tattoo 1 Tribal has been around since 2000 in several Italian and foreign countries. 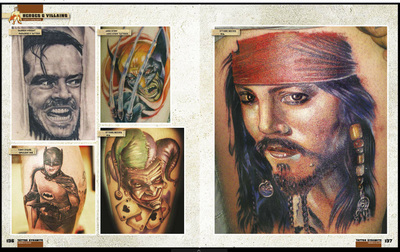 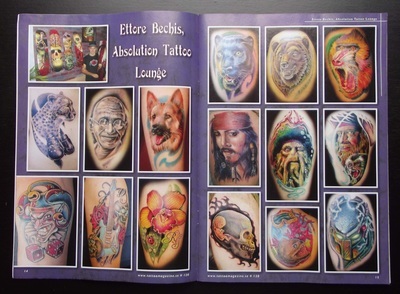 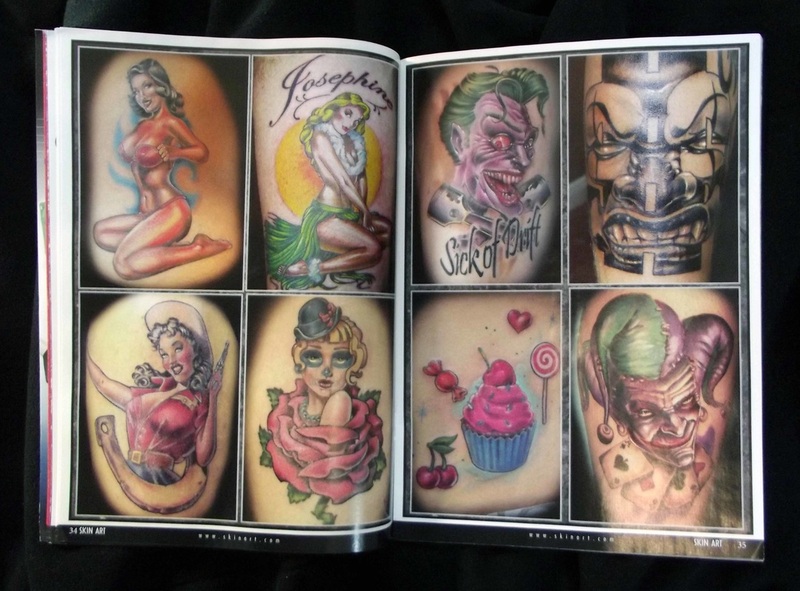 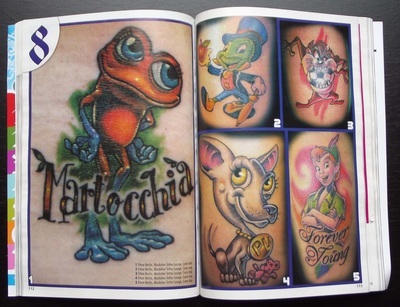 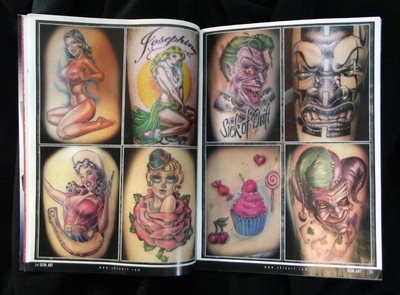 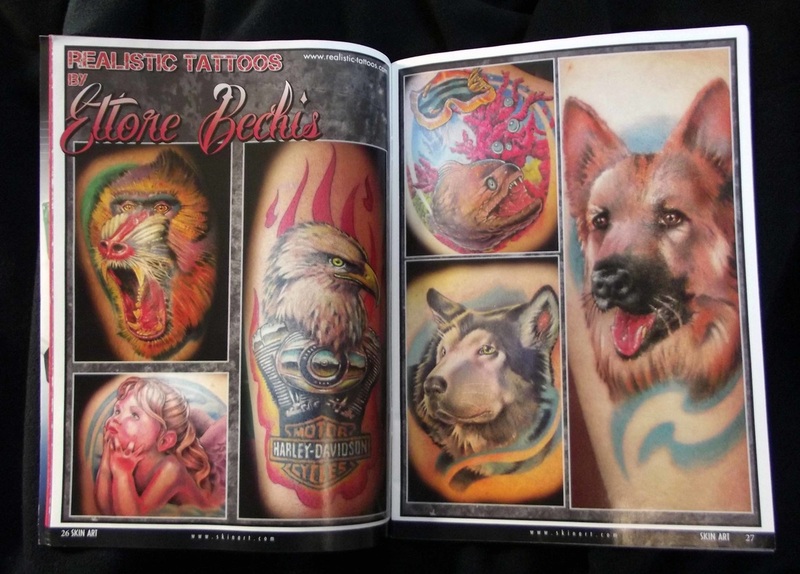 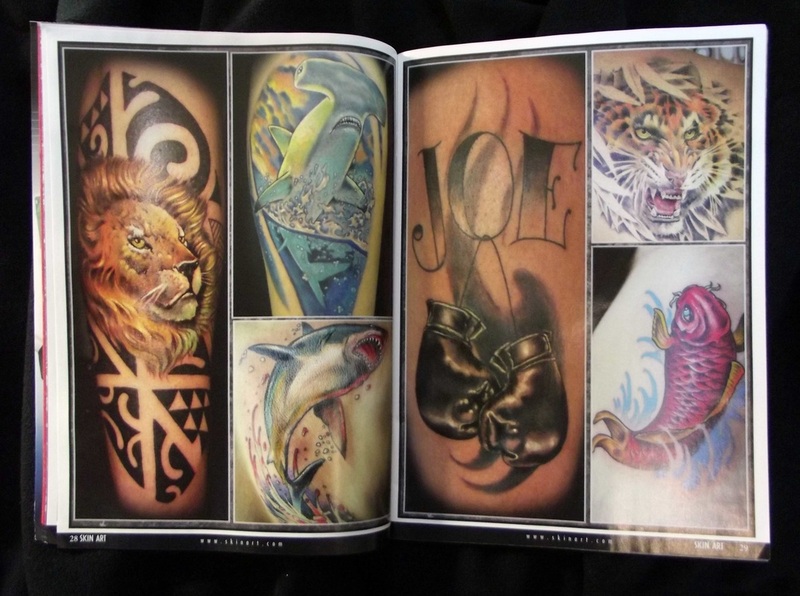 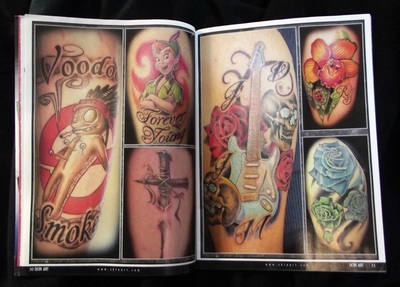 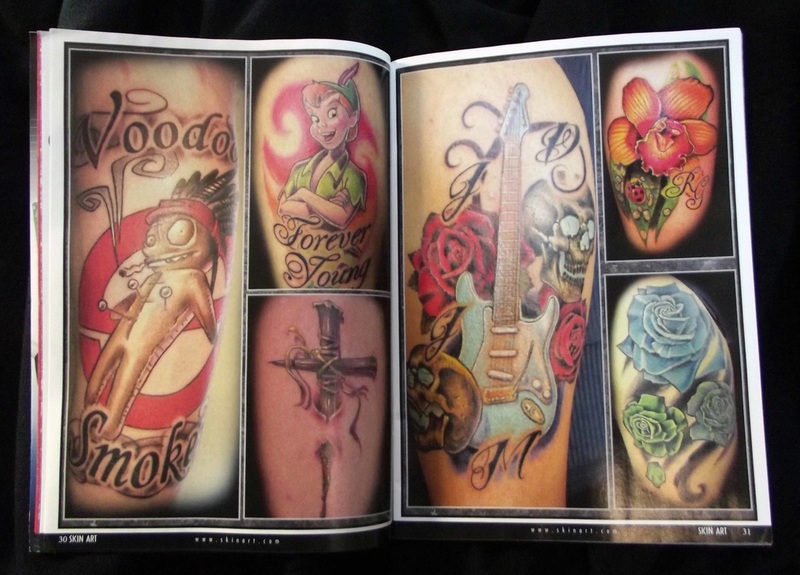 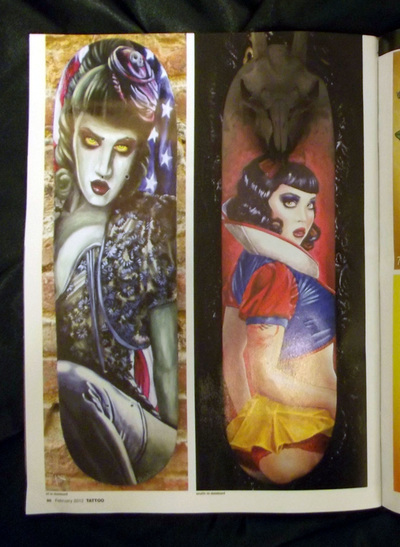 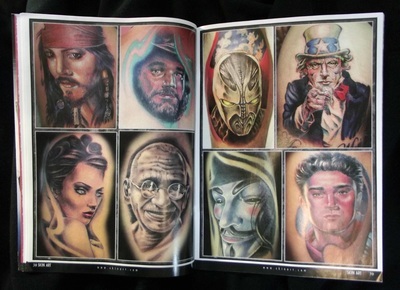 It contains a selection of photographs with the most popular tattoos in the tattoo studio. 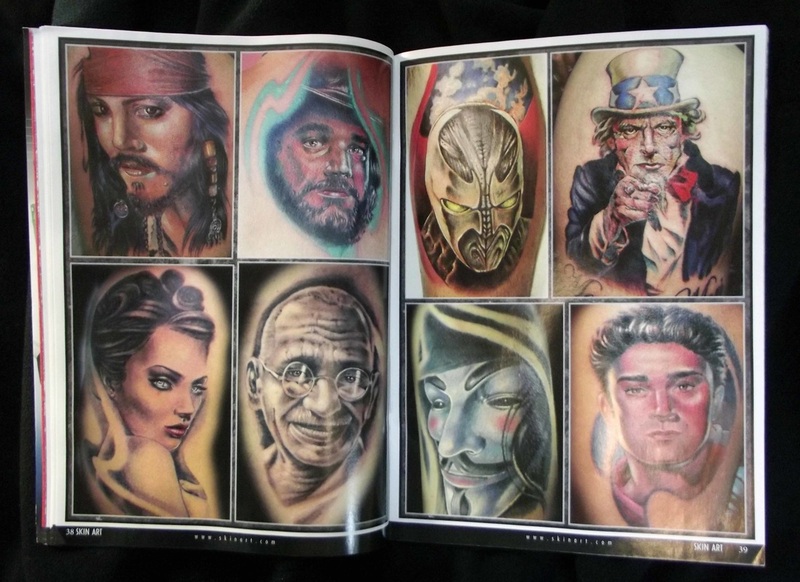 The first thirty numbers contain many classical subjects, and tribal tradition. In subsequent issues the photographic selection moves to more modern and popular subjects, with particular attention to the drawings loved by the girls.